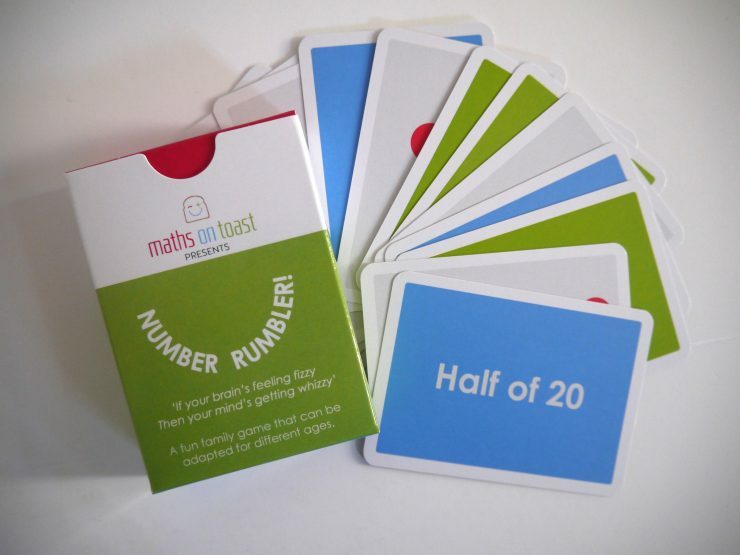 Back in the spring of 2015 Maths on Toast worked with families in Camden, London to devise a fun maths game that supported understanding of multiplication. In the autumn of 2015 we crowdfunded the result – Number Rumbler – the number sense maths toy. 280 people backed the STEM game, whether by buying advance copies for themselves or making donations. The game was a Finalist in the 2016 Science Toy Award. It is also recommended within National Numeracy’s Family Maths Toolkit, and (as well as a cluster of Amazon reviews) there’s also a review from the charity Kids in Museums. We developed this STEM maths game by working with real children and parents in the London Borough of Camden. Thanks to their input, this game is much better than it would have been otherwise. So thanks are due to the team at The Winch and at Pancras Square Library– and also to John Lyon’s Charity for funding the early development of the game.